The Bengali originated in what is now Bangladesh and Bengal, India. 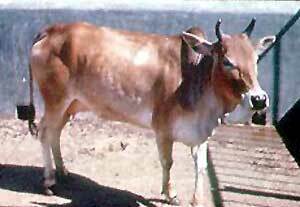 It is one of the Zebu or Bos indicus breeds native to India. The Bengali ranges in size from small to dwarf. 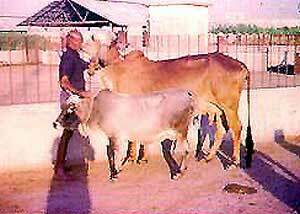 The image on the right side of this page shows the size comparison between a mature Gir and Bengali animal.